I don’t know if I should call this a recipe since you’re not actually making anything – just putting a bunch of delicious desserts together. I’m going to write it out as a recipe for you anyways so you have something to print and save in your cookbook for your next party. 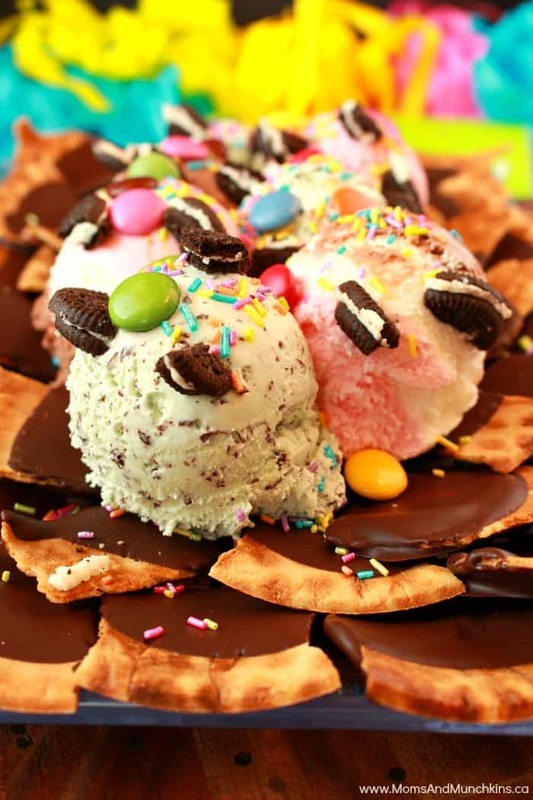 I’m not including any quantities because you can just pile it as high as you want with waffle cone “chips”, ice cream and your favorite toppings. 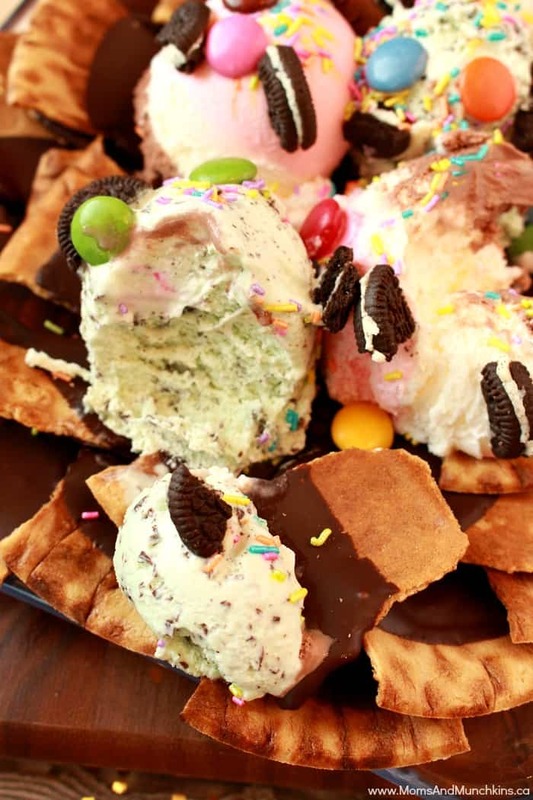 your favorite ice cream toppings like fudge, broken cookies, chocolate coated candies, sprinkles, etc. Place a sheet of wax paper on a large cookie sheet. 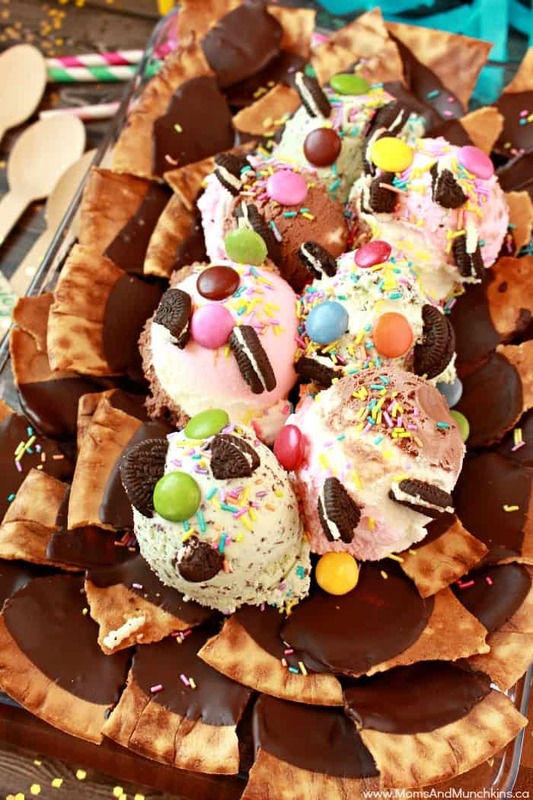 Dip ¾ of each waffle chip into the melted chocolate then place it on the wax paper to let the chocolate harden. When all the waffle chips are dipped, place this tray of chips in the freezer so the chocolate can harden. 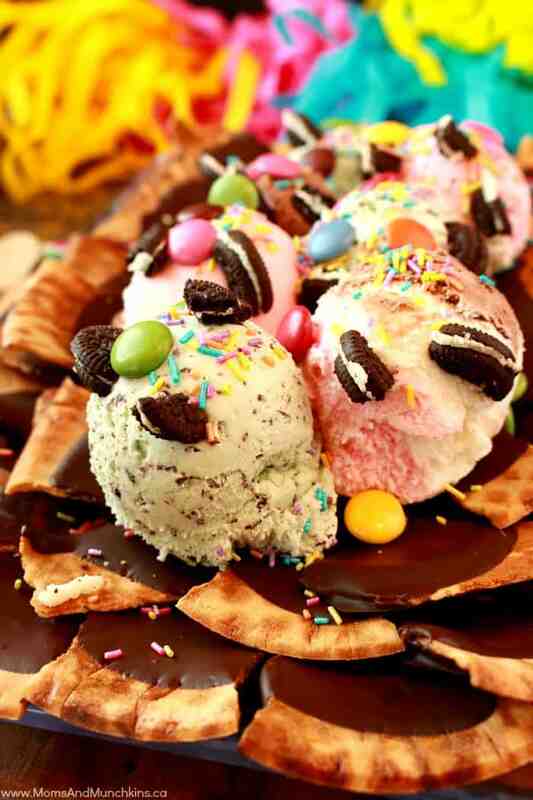 Remove from the freezer right before serving, top with scoops of your favorite ice cream and a variety of candies and sprinkles. 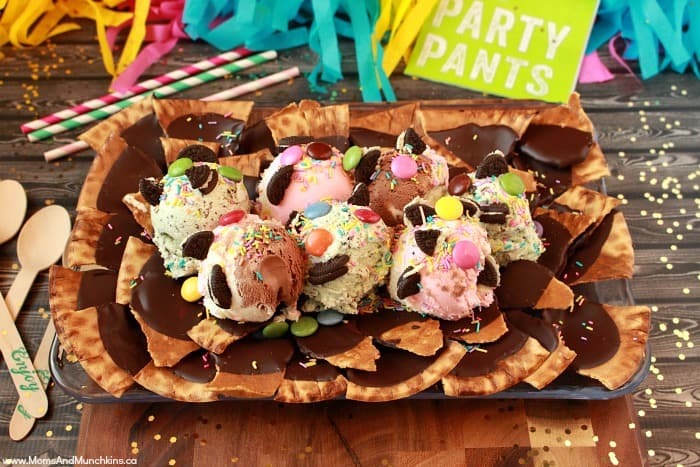 For more delicious party recipe ideas, visit our Recipes page. I’ve included a few of my party favorites below. Never miss an update by following us on Facebook, Twitter, Pinterest and Instagram. 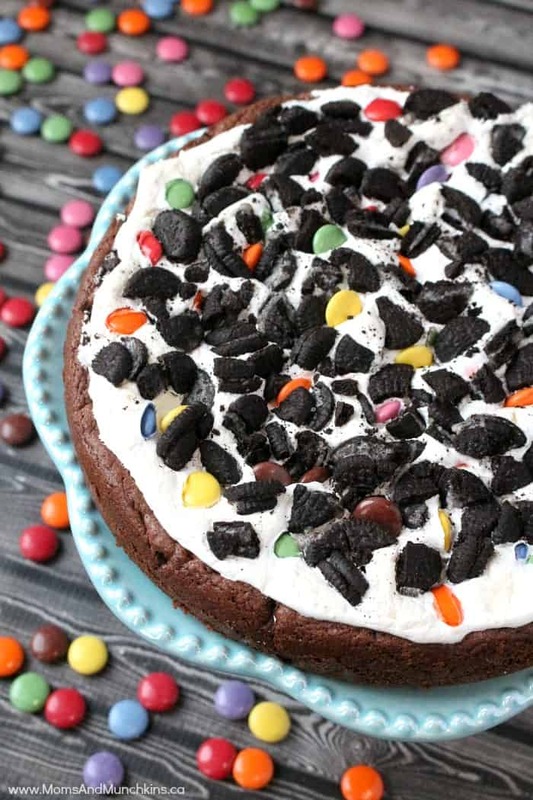 Marshmallow Cookie Cake – a yummy alternative to a traditional birthday cake. 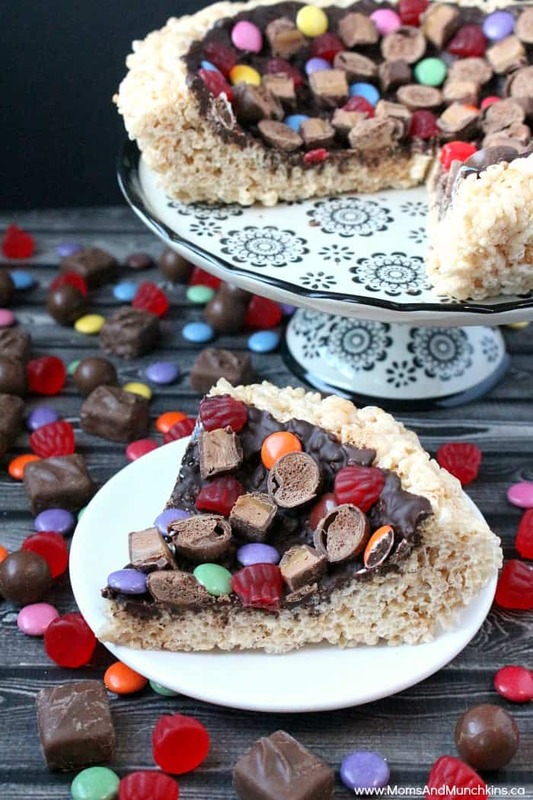 Rice Krispies Dessert Pizza – top with all your favorite candies! 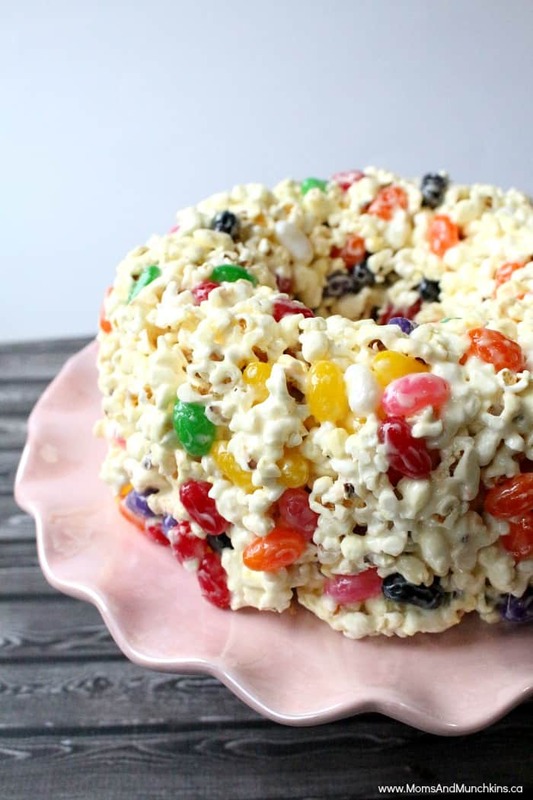 Popcorn Cake – my Grandma’s family-favorite recipe!